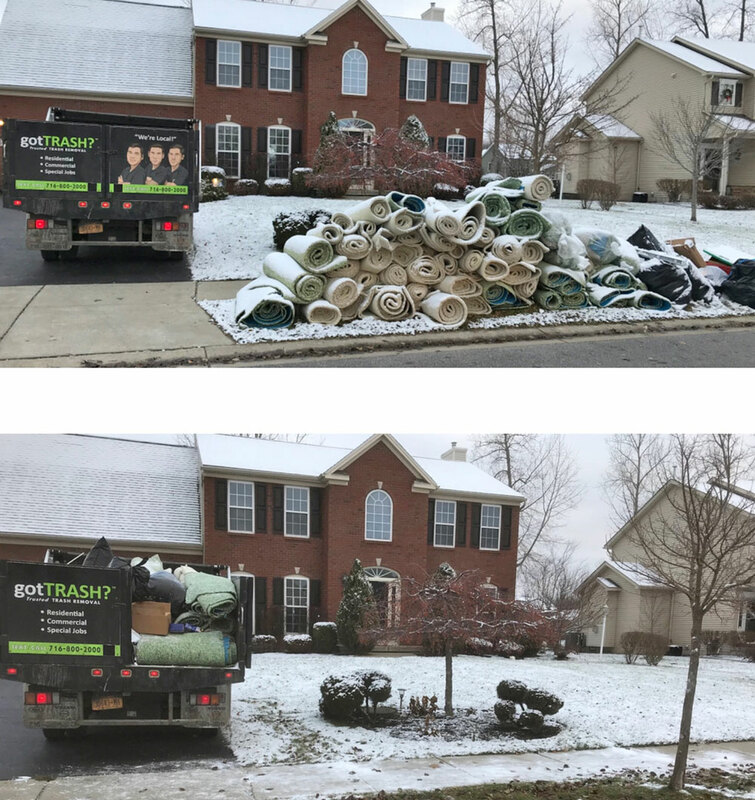 Our professional, trained, licensed and insured trash technicians can address all your trash removal needs, both inside and outside of your home. We’re the “white glove guys” because when we enter your home we put clean booties over our shoes to protect your property. Has your garage, basement or attic been collecting old items? Take advantage of our hassle-free, fast and easy garage, basement, attic and storage locker clean out services. Leave the heavy lifting to us! We remove items such as furniture, large appliances, computer equipment, carpets, drywall, tires, vehicles and construction debris. Our affordable residential junk removal services will rid you of unwanted junk. We remove you clutter and miscellaneous debris lying around your home, apartment or condo cost effectively because our rates are fair. We offer same day junk removal services and are available to remove items from wherever they are located in your home. Just point, and we will haul it out! We are committed to giving back to our community. We will donate and recycle items whenever possible. You can help your community while improving the look of your property.